Volune One is a 40-track collection of places and things common between 1901 and 2000. 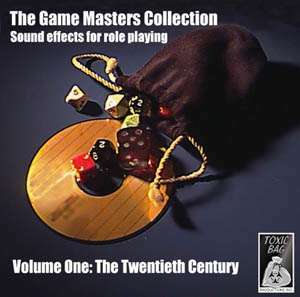 Perfect for all modern- day RPG and LARP games, this volume contains realistic-sounding environments for your players to inhabit, as well as some general situations players may encounter. Now you can enhance the role playing experience by adding the element of sound. Does the party have a shoot-out at the train station? Are they meeting that NPC at the airport? Will they be exploring that abandoned ship? How about letting the players hear the crack of a gun when they're being shot at. Is your world ending? Let the Emergency Broadcast Message calmly and clearly inform the players that the end is nigh.